Spring break in Jamaica offers sparkling beach parties to bumping night life. It's almost here, so here are some of the top attractions in Jamaica where you'll find that this spring break will be the most memorable of all. Spring break is a time to unwind and have some fun. It is a lively time of escape from exams and Jamaica offers exciting attractions and activities. Like lively reggae concerts, water sports, hiking, or just hanging out and getting your tan on. So here are a handful of tips to help you get the most out of your spring break in Jamaica. Here are some really useful tips when travelling to Jamaica for all spring breakers. Do advise your family and friend on where you are staying and provide contact information. Remember to bring along, or apply here for your passport and also take along any other identification document. Make note of important telephone numbers and Jamaica travel information. Currency information is one of the top need-to-know things when planning your spring break to Jamaica. Most places in Jamaica will accept money in US Dollars, but it is recommended to bring your MasterCard or Visa card with you, just in case you need additional cash. Students under 18 years of age are not allowed to drink legally, but those over 18 are also advised to drink sensibly. In Jamaica, use of controlled substance, drugs is illegal and Jamaican laws are very strict on this matter. Jamaica offers some of the hottest spring break attractions in the world. Green Grotto Caves - These caves are one of the most thrilling spots for adventure loving spring breakers. These many centuries old caves were once considered as a hideout for runaway slaves. This is an attraction not to be missed. Bob Marley Experience And Theatre For Marley fans this theatre is a top place to visit on your spring break in Jamaica and also learn more about Bob's life You can watch a film and buy a Bob Marley's music, t-shirts, gift items and what not. This center is known to be a Bob Marley Experience which is very true. Island Village One of the newest attractions in Jamaica. It is located at the beach of Ocho Rios where you will find duty free shops, reggae exhibition, eight river gaming center, experience a beautiful flowery scenic setting and many other stimulating attractions of interest. 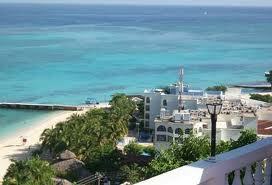 This beach is nestled between the Montego Bay Marine Park and the Hip Strip of Montego Bay. Its translucent clean water and white sandy beach is very inviting. You will find an amazing food court and beach bar for your enjoyment stock with a variety of meals and drinks. Born in 1948, this great Jamaican Reggae artist, and actor is the only living artist who holds the highest Jamaican honor called "Order of Merit". He is one of the very few living legends that worked for the popularity of reggae music across the globe. As an actor he first appeared in the well-know Jamaican film The Harder They Come . His best pieces are Sitting in Limbo; You Can Get It If You Really Want and Many River To Cross, which are also from the soundtracks of the popular Film The Harder They Come. Here is a little know fact, Jimmy Cliff also created the soundtrack for the Hollywood film, Mission Impossible III. Get Jimmy Cliff sound track now and he was also one of the five performers at the 2010 Rock and Roll Hall of Fame. <>, as a subscriber to our free monthly newsletter I would like to offer topics that are of interest to you. So I am asking for your input on what the newsletter should cover and also questions you would like answered about Jamaica. To thank you for your participation and if your topic is chosen for that month's newsletter I'll send you a free e-book. Please send me your thoughts, ideas, questions and topic of interest here. <>, treat yourself to this easy, highly aromatic refreshing drink with Jamaica hibiscus blossoms in celebration of Spring break in Jamaica. 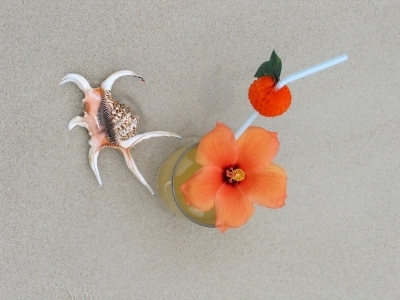 Place hibiscus blossoms and ginger in a pan and boil for five to ten minutes, then remove from heat. Cover the pan and let stand for about four hours. Then strain and add sugar. Add ice and rum according to your taste and serve. Again thank you for subscribing to this month's newsletter, and remember to visit our website for more useful information on the beautiful island of Jamaica, its cultural highlights, latest vacation packages and tour guides available. Also, I am inviting you to write your own stories or commentaries here, and thank you.